An unmissable experience to live in Vieste. 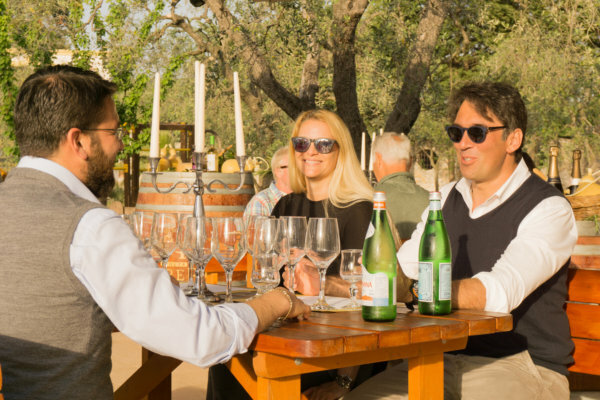 In our previous articles we talked about the food and wine experiences to try during the holiday in Vieste. In fact, Vieste during summer season offers interesting excursions, tours and various kinds of experiences offered to tourists looking for a new adventures to live in Gargano. 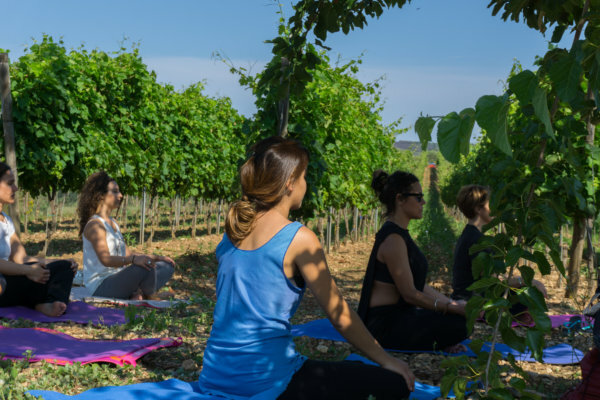 Tenuta Padre Pio believes that is really important to transmit and enhance the territory through local traditions and on-site experiences to allow travellers to know the true soul of the place. In this article we will talk about horse riding offered by several riding stables in the area and available mainly at two times of the day. N.W. Horse riding excursions can be booked directly at our reception, where you will be provided all the necessary information. With the first lights of the day, it will be enchanting to ride along the coast of Vieste on a trip that unites the blue of the sea, to discover the bays scattered along the coast, and the green of the Mediterranean vegetation of the Umbra forest, where in the early morning light, the flowers shine with their most beautiful color. 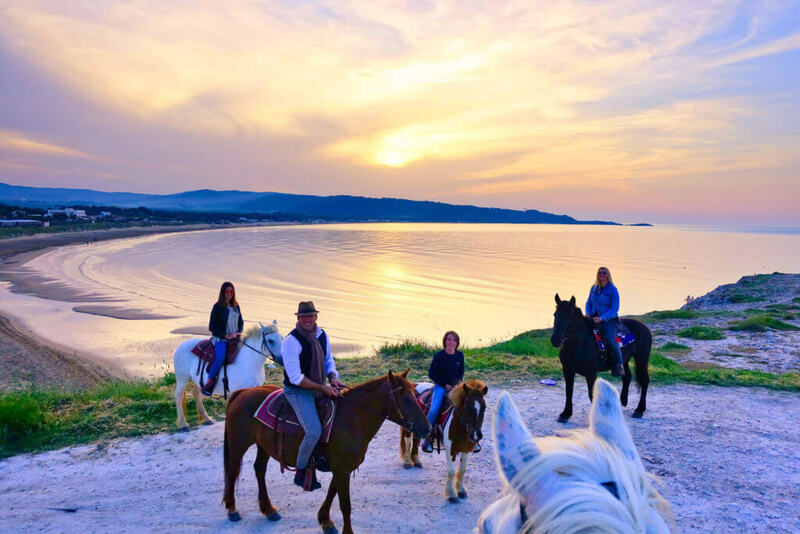 This horseback trip is ideal for regaining contact with uncontaminated nature and breathing fresh and clean air. This is the word with which our friends Miky and Kiro defined this fantastic experience in Vieste in April, written on their travel blog (The Travel Jam) to define this experience. 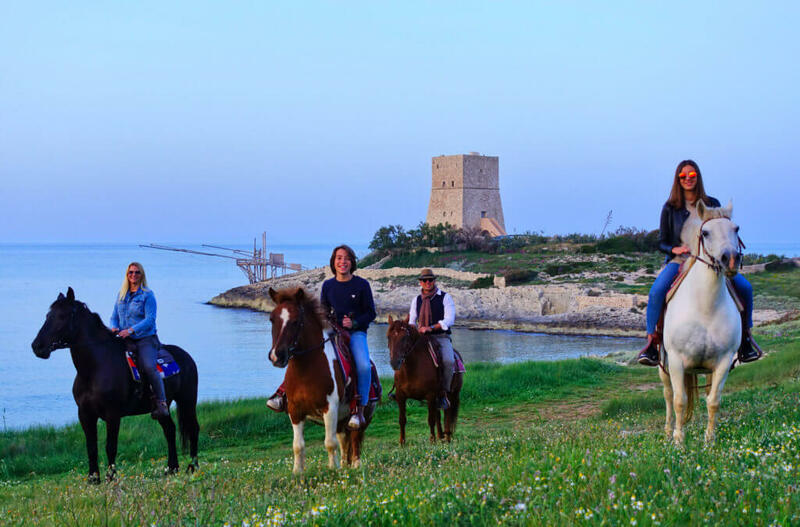 Horseback riding at sunset on the north coast of Vieste will get you to know a rural coast where you will admire the old fishing machines called trabucchi. It will be a brief visit with an explanation of how these machines work, after that we are ready to leave in direction of sunset, where the sun sets over the sea, making red Saracen tower and Trabucchi. 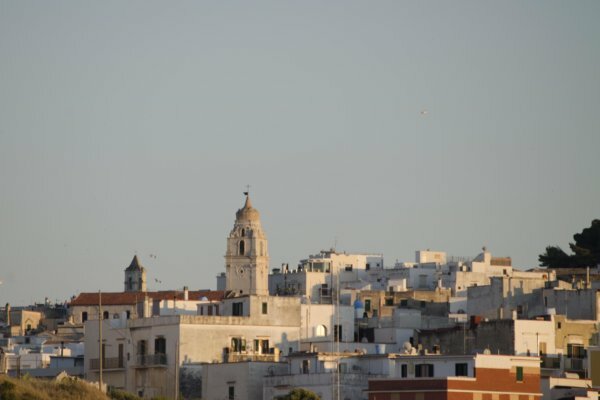 To stay up to date on the experiences that Gargano can offer you during your stay into the residence padre pio in Vieste, continue to follow us on our blog or on the Social network Facebook and Instagram channel. 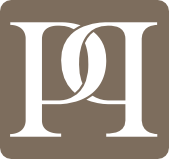 For info and reservations do not hesitate to contact us by email, phone or chat.